William Paul McMillan was born on 7 April 1924, son of Paul and Annie McMillan. He died suddenly at Gosford on 29 March 1975, aged 51, survived by his wife Edna. He was buried at Botany Catholic Cemetery after a ceremony at St Bede’s Church, Pyrmont. William Paul McMillan was living at Pyrmont when he enlisted in the Australian Army on 20 April 1942, having put his age up by three years. His next of kin was Minnie McMillan. He was discharged as Bombardier from the 157th Light AA Battery on 4 September 1946. McMillan lived in Camperdown and was a member of the Paddington-Woollahra RSL. 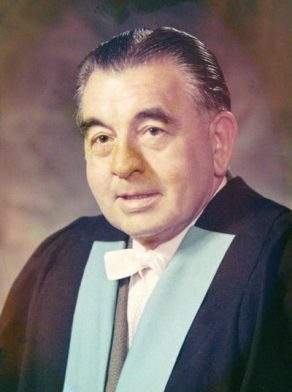 William McMillan was Alderman for Phillip Ward, 18 September 1971 until his death in March 1975. He was a member of the Works Committee and the City Development Committee from 1972 to 1974. He was a member of the Australian Labor Party.